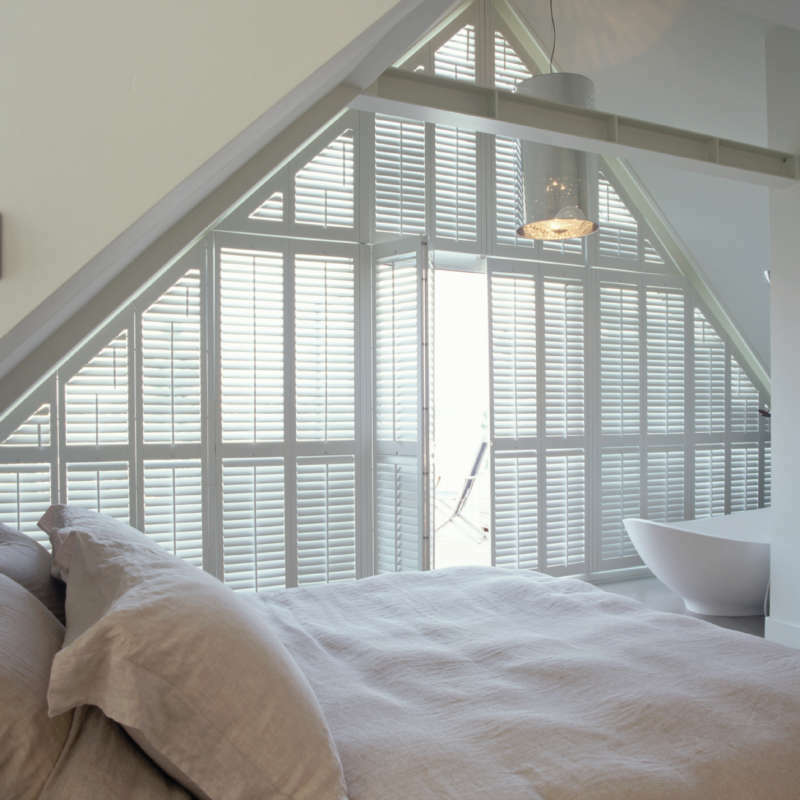 ﻿ Custom Window Shutters Winchester &… | The Great Shutter Co. 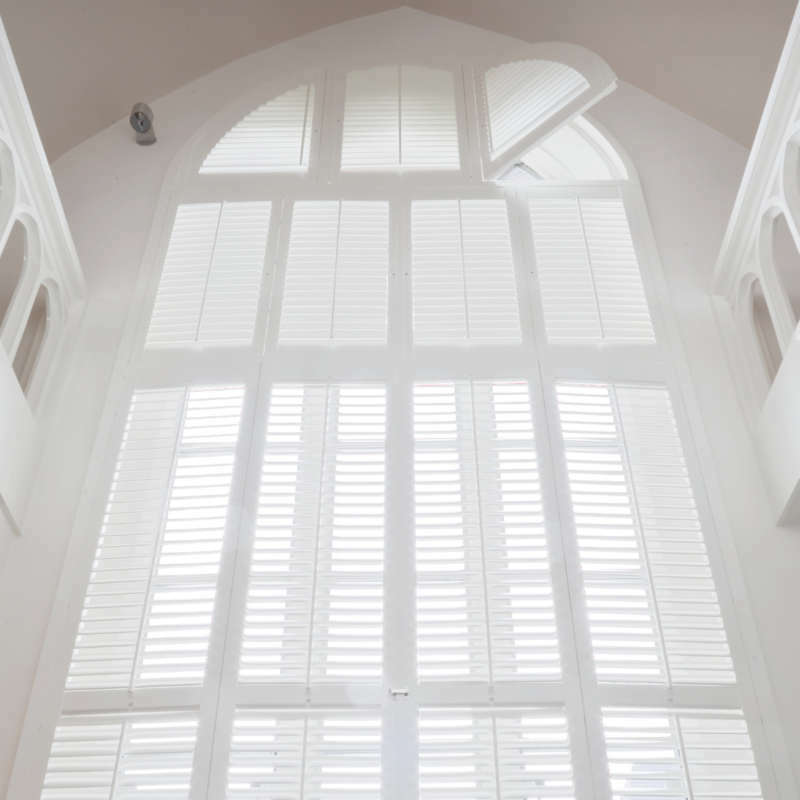 If you want the wow factor then a special shaped shutter is really the ultimate way off showing of those beautiful architectural features of your home. Why cover those arched windows or portholes with a curtain or a roller? 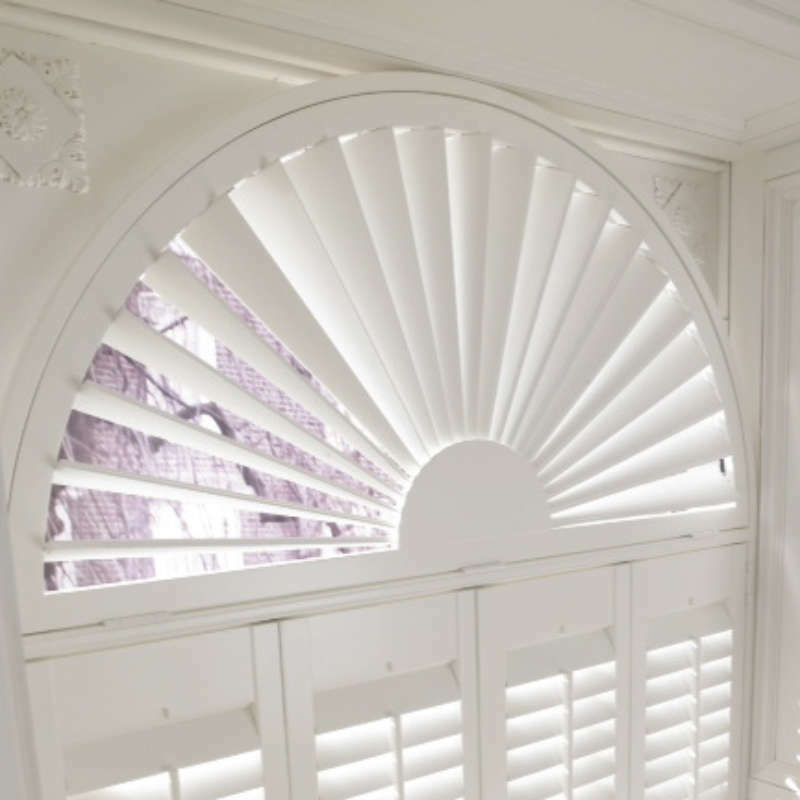 Nothing highlights the made to measure nature of shutters more than a special shaped wooden shutter and this is where the craftsmanship is really visible. 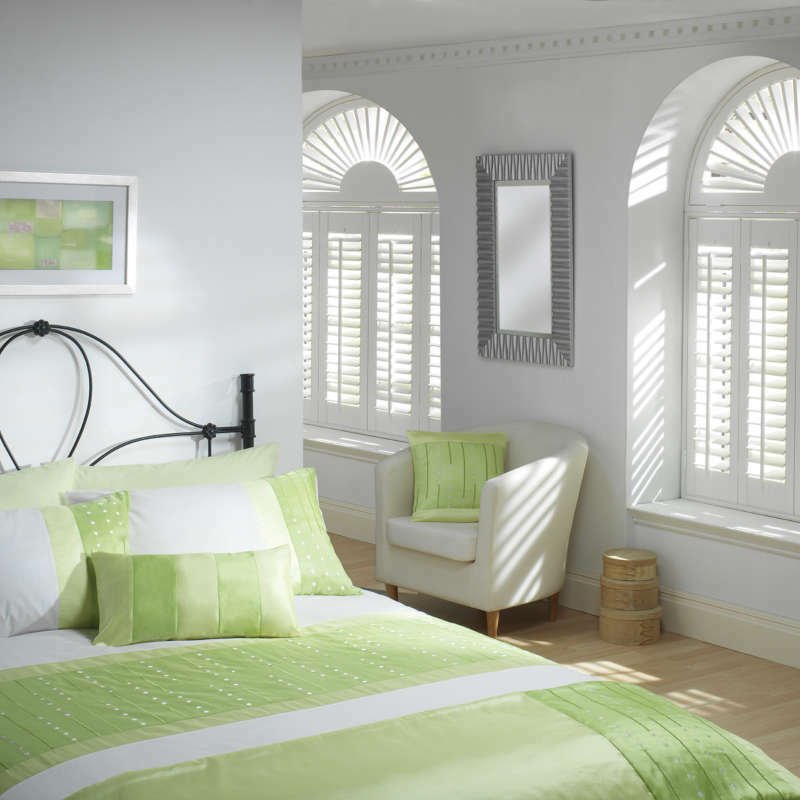 This same effort and precision is also inherent in all our other shutter types. They are all made to measure to fit your window. What falls under the heading of special shape shutters? All shutters that are not rectangular or square will in general fall under the heading of special shape shutters. 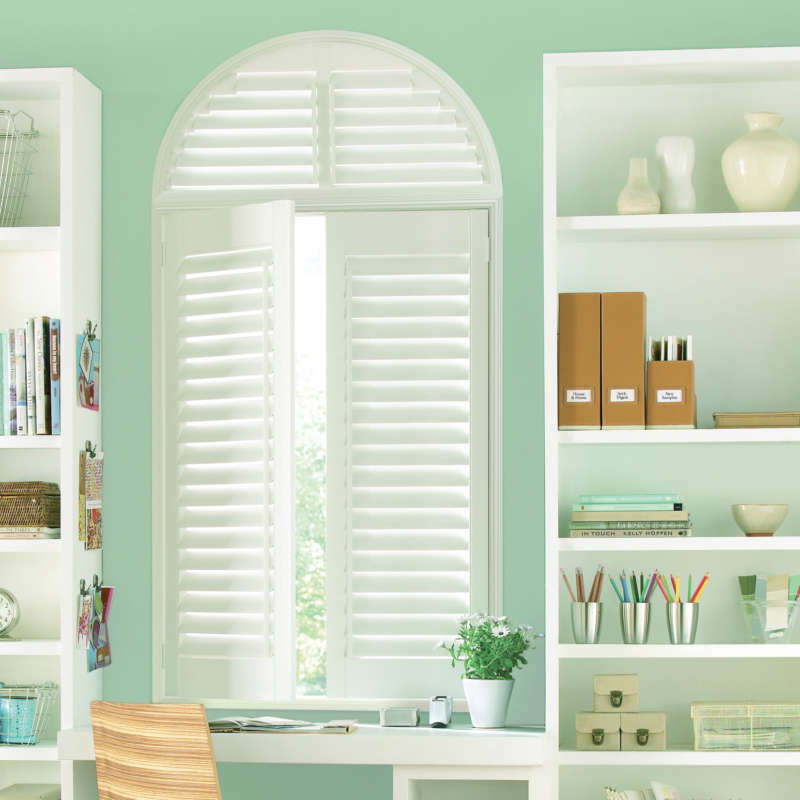 Special shape shutters are ideal if you have arched windows or doorways that you are looking to cover for example. How does a porthole, circular or oval special shape shutter work? In the case of a porthole special shape shutter the round shutter frame is carved by hand to follow the template that has been generated. This naturally applies to an oval window shutter as well. 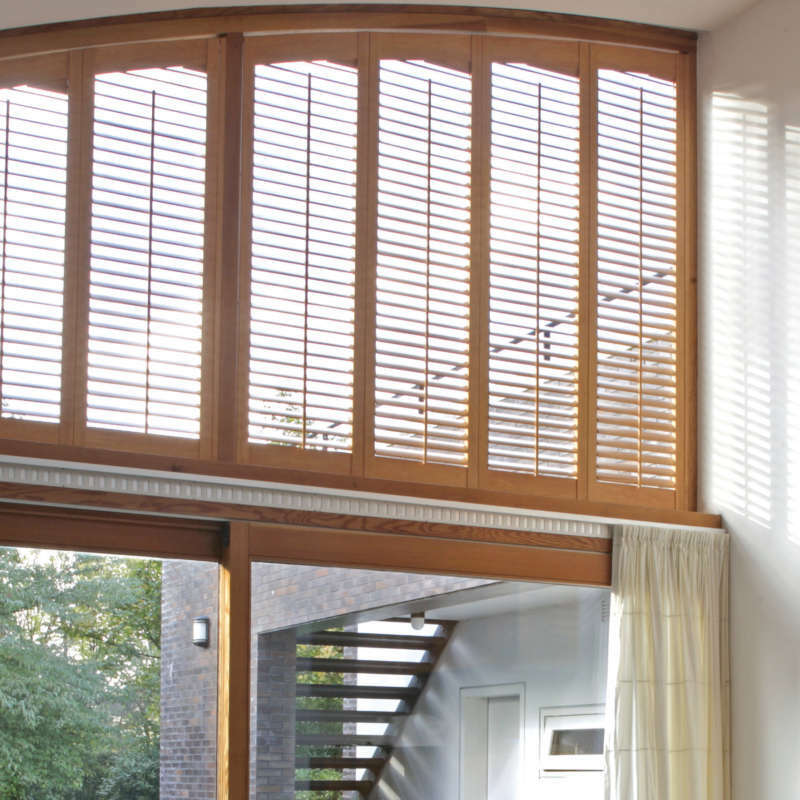 A single shutter panel is created that can be horizontally louvered and the louvers are controlled by a tilt rod as the silent tilt (hidden) is not available. 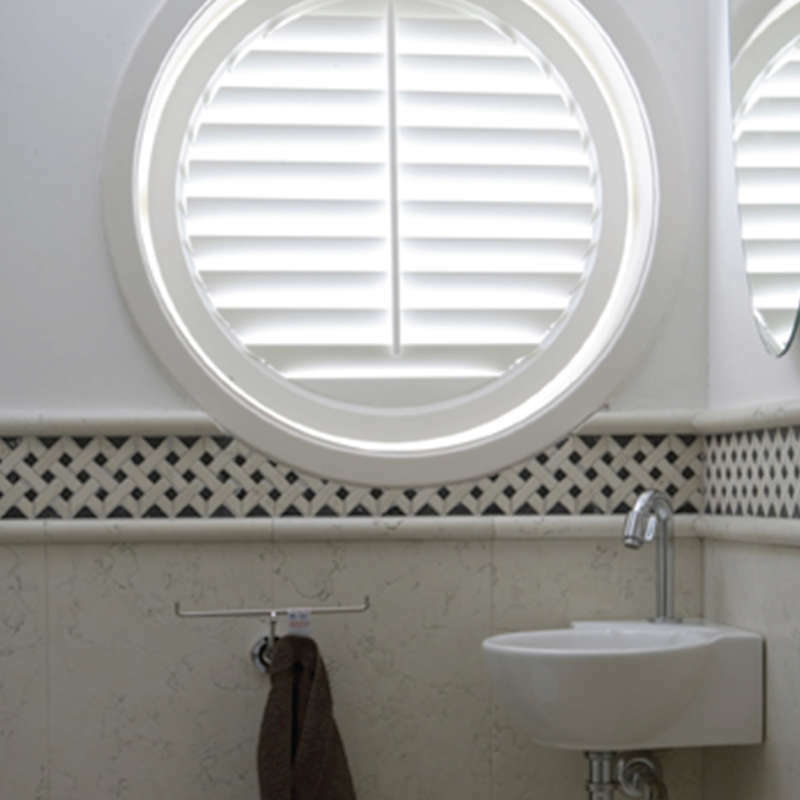 Alternatively choose a radiating circle shutter and in this case the louvres sunburst out from the centre. This does look stunning but note that each louvre needs to be adjusted by hand. This type is probably best for a porthole window shutter that is not being used to control light on a daily basis. In both cases (louvered or sunburst) the shutter panel is fixed to the frame by a series of magnets. This allows for easy removal of the shutter when you need to clean the windows. How does a gable end shutter work? When using shutters for gable ends a number of different panel configurations can be utilised. In general though there will be at least 3 special shaped shutters which will be the three triangular shutters at each corner of the gable and then a mix of regular shutter panels in the centre. How you configure the shutters will affect the cost to you. So its always worth having a home consultation in this case as only once the options have been discussed can an accurate price be given. What is the ideal window dressing for an arched window? A special shape shutter of course! So by now you have probably gathered that special shape shutters are ideal on an arched window as you follow the lines of the window and don’t cover up that fantastic designer feature in your home. The question probably is what type of arched shutter do you put into place? In most cases you would look at a single panel folding left and right for the whole height of the window/doorway. Alternatively you can place a fan top into the curved part of the recess and then regular shutters below. The regular shaped shutters can be bifolded so that you would have narrower panels that you could fold out of the way and flat against the wall. We would still manufacture that with a single frame around the whole of the recess so that the shutter set provides that quality look to finish of your arched window or doorway. What choices are there for straight special shape shutters? 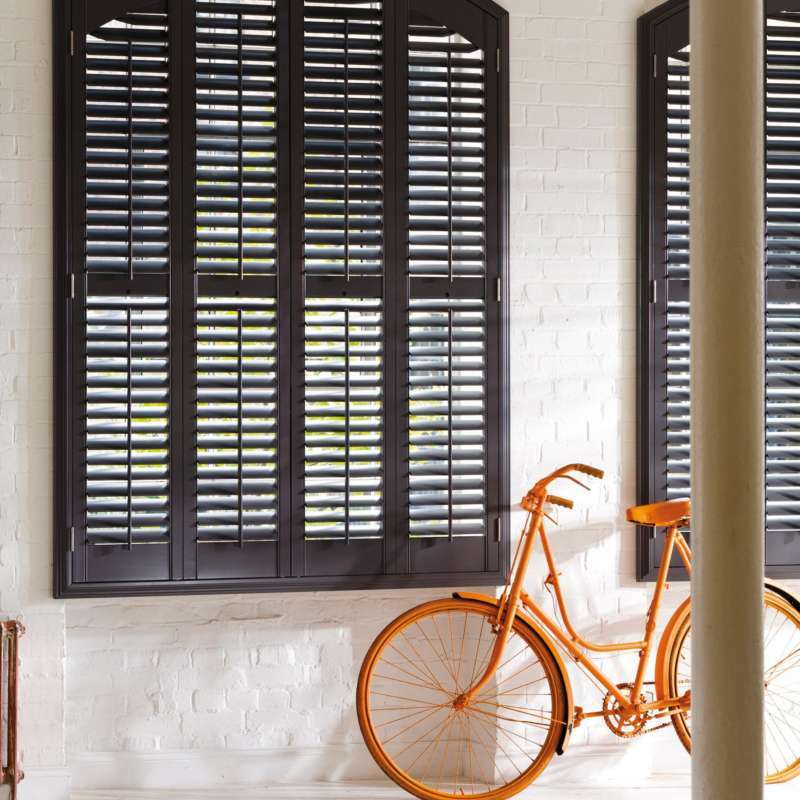 Really there is very little that we cannot do when it comes to special shape shutters made up of straight lines. Whether that means a triangular shutter, trapezoid window shutter – even octagonal or parallelogram window shapes can be covered with these designer plantation shutters. Speak to us about what we can do – simply click any of the links at the bottom of the screen.